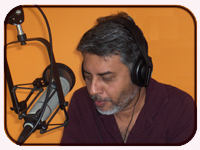 Founded in 2011 “ ” or “Better Bangla” is a Houston based Bengali radio program. We are here to serve the Bengali lovers, not only from Houston but also from all over the World. Our mission is to provide you with the rich heritage of Bengal through our program, broadcast every Saturday 11:00 in the morning (central time, IST 10:30 pm on Saturdays) on 1050 AM that has a widespread coverage in Houston, Texas, USA, and the surrounding cities. 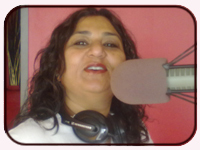 You can also listen to us live online at www.betterbanglaus.com or click here. You can also download ‘Tunein Radio’ – a free app on your smartphone and tune to KCHN-1050 and listen to us anywhere in the world. We provide you with or Bengali music, recitations, talk shows, discussions, short-plays, news, current affairs and many more and our primary aim is to provide you with the nostalgia of Bengal through our program that we all cherish in our hearts as Bengalis. We wish to bring forward glimpses of the memories left behind years ago.